Here's a permanent page on my website to lay all the "what gear do you use" questions to rest. Nah for real though, I understand - I'm a gear nerd myself. It's always interesting to find out what photographers are using what gear; just don't get too wrapped up in the quest for gear. At any point, if you ever wonder what gear I’m currently using visit my website and check this page: About > What Gear I Use. Click the photos or the product titles to shop the products via my Amazon links. If you have any questions feel free to email, comment & DM me. * If you are a brand and would like to send me gear to test, review, add to this list please email me here. My main photography & videography kit & lenses. My style of shooting is very run-and-gun. I am often flipping between photo and video mode as I often to both - especially whilst travelling. I have a preference for fast lenses and lenses with IS (for stable video). The Canon 5d Mark IV is my main workhorse. I use it for both stills and video. It isn't the most spec'd out camera out there at this price point but I still rate it pretty high. The practicality and usability of it really suits my run-and-gun shooting style. 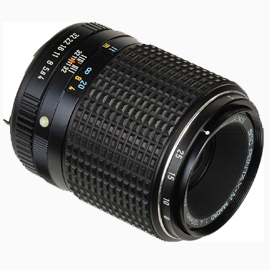 This is a staple lens in a lot of photographers kits. The range is super versatile (wide to tele) and the fast f/2.8 aperture means you can still mostly use it in lower light situations. I went with Sigma's latest Art version because it comes with IS. This definitely isn’t the sharpest 70-200 in the shed. Buy the Canon L version if you have the money. 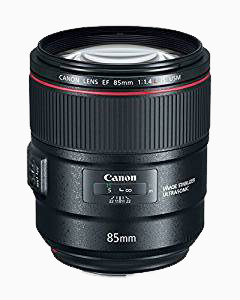 This one is relatively cheap and does the job ok.
Great lens and focal range. Everyone needs a good quality wide lens in their kit. I feel 16 is as wide as I'd go (before things start to get really distorted). This lens also works great for video - especially if you're doing a lot of hand held shooting. A.K.A. the “nifty-fifty”. I love this lens. It is ridiculous cheap and still produces great quality images. I can knock it around and not have to worry about it too much. I bought this lens specifically because of it's wide aperture and longer focal lengths. Great for bokeh, detail shots and portraits. I went with the 1.4 IS version over the Canon 85mm 1.2 & the cheaper Sigma 85mm 1.4 because this lens has IS which will help a lot with video work. This is a great walk around lens if you're doing video. The image stabilization (IS) is invaluable for this. The focal range is also pretty convenient. It is great in the day, but once it starts to get dark the f/4.0 aperture can be a little slow. This is probably one of my favourite lenses. It is probably one of my sharpest lenses. I do also prefer shooting with the 35mm focal length - especially for portraits. This is my smaller everyday carry camera - for when I don’t want to carry my full setup out. This ensures I always have a camera with me. Looks cool too. If you follow my Instagram or work you’ll know how fond I am of DJI drones. They are awesome for photos and videos and take your production level up a notch. Here is what I own & use. Easily my favourite drone (if only it were more portable). The image quality and video capabilities is incredible. It handles tough flying conditions with ease. If only it folded down into my backpack. (See previous Polarpro P4P kit description). These are great quality Mavic 2 Pro filters but are essential. Hands down my favourite drone ever (to date). It falls ever so slightly behind the Phantom 4 Pro+ but it’s portability makes up for it big time. It can handle itself no problem and image/video quality is really good. If you own filters for your P4P, you should consider getting this upgraded gimbal lock from Polarpro. The original DJI clamp won't fit on if you have an aftermarket filter attached. This gimbal lock does. It will save you a lot of time in drone deployment. Super essential part of any drone kit. The Neutral Density filters are necessary to get that cinematic (motion blur) look. 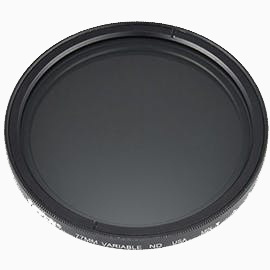 Polarpro’s filters are also made from high quality aluminium. Highly recommended. This tough shell case fits the Mavic 2 Pro with an elastic at the back for the controller. It’s better than the fly more combo bag because it allows you to split your drone and batteries in your camera bag. Here is a list of miscellaneous items that I consider pretty essential and handy. I use these items a lot. I finally switched over to the Android world. 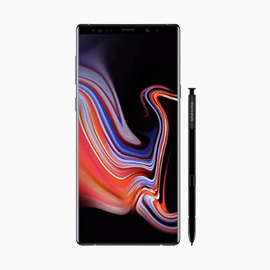 I quite like the Note 9 and it’s pen. The screen is gorgeous and I like how customisable the phone is compared to the iPhone. This is my new, main travel & camera bag. It well designed and perfect for what I need. It is a collaboration bag between the Japanese photography collective and an awesome Japanese bag company. I wrote a detailed review on it which you can read here. There are plenty more pics and info in my review. 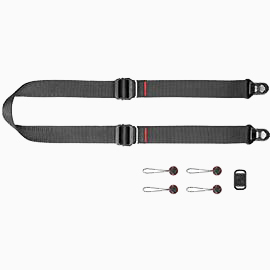 This strap is great (mostly). It’s strong, comfortable, looks great and has the peak design anchor/clip system which allows you to easily attach & detach the strap. I find this really useful as I’m constantly putting the camera on and off my gimbal. One annoying thing about it however is that the strap often gets in the way of my screen & viewfinder when lifting the camera to my eye. Having a good quality, off camera mic is pretty important - bad audio ruins videos. The Rode mics are great. If you can afford the newer Video Mic Pro Plus get that (it turns itself on and off) otherwise the regular pro is decent too. Buy a few of these and leave one everywhere. It will save you from the temptation of using your dirty t-shirt, fingers, or mouth to blow dust off your camera and lenses. They are cheap and effective. If you are looking to get into video, you need to buy a lot of variable ND’s. I own a bunch - almost one for each lens. They enable to you get that cinematic (motion blur) look for your DSLR. It’s variable nature means you can change it’s strength to suit the light. If you have heard people raving about Apple AirPods, trust me on this one - these are 1000x better. 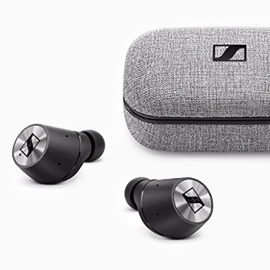 Sennheiser have overcome all of the AirPods shortcomings. The sound quality is everything you’d expect from Sennheiser, they fit a lot better and have an awesome touch sensitive control on each bud. Only downside is they are a little more expensive than the already expensive AirPods (worth it though). After a budget airline lost (misplaced) my luggage in Berlin and cost me $1000 in rental gear, I decided to give these little trackers a go. They work off a community network and are able to ping your lost items. If you double click the button you can also reverse this process and ping your lost phone. Buy the battery replaceable ones. This bag isn’t the biggest, but is a great size for a casual daypack. I use it on day trips and when I don’t want to carry more than a camera and a few lenses. This water & dust proof case is a secure place to store my precious memory cards. It fits 12 SD Cards and 12 Micro SD cards. Would definitely recommend this to anyone who is often in rough conditions. 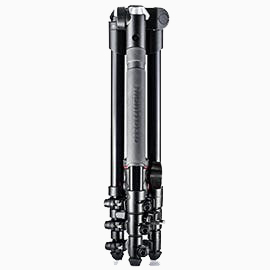 This tripod is a great size and weight and does it’s job well. It also had a good height to it. This model’s base plate and mounting system however is a little annoying to use. This is probably one of the best kept camera secrets. I’ve travelled to many countries and seen so many people struggle with window and glass reflections. I’ve seen people have terrible make-shift solutions. This one is cheap, compact and effective! 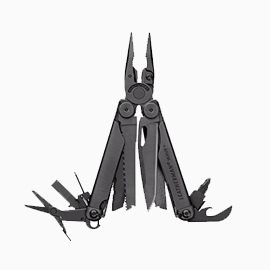 I’ve started to carry this multitool in my camera kit now. I haven’t had to use it yet, but I’d imagine it’d be handy when the day comes. 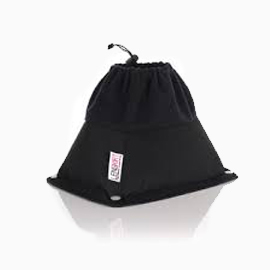 A simple, but well thought out pouch for all your precious tech items, cables and accessories. It is slightly larger than I thought it was going to be but is definitely well made and well designed. This is my small portable audio recorder for recording crispy high quality wav audio for my video work. It is so small and light which is great. It is also pretty cheap and does a decent enough job. My favourite travel suitcase. It is super sturdy, rolls real well (super important) and the compartments and inner netting separators keep everything tied down nice and. Find more info and photos in my review here. *Use my link for $20 off. Click here. This is the best iPhone/smartphone clamp out there. The cheap eBay clamps are flimsy and don’t hold the phone well - especially if you’re moving around. I’ve had my iPhone pop out of one and fall flat onto the ground from height. This clamp is industrial sturdy. Recent purchase to see if I can further avoid using a full sized tripod. This pro version comes with a fluid head for video work and is strong enough to hold my DSLR setup. Pretty convenient wrist strap that utilises the Peak Design Anchor connectors - easy clip on / clip off system that is compatible with their other products. I can easily switch from my neck strap to the cuff. These are super comfortable and have possibly the best noise cancelling on the market. It has become a staple for my air travel to silence the crying babies (also great for music and movies). A favourite watch of mine atm. I am still a fan of the old school non-smart watches. They are simple, straight to the point, look way cooler and you don’t need to charge them every night. This one is an archival mil-spec edition with a NATO strap. Shooting & filming is only half the work (sometimes even less). To reach the final product, I use these tools to help me get there. My current travel (workhorse) laptop. It is a top spec beast! I especially love how you can detach the screen and it turns into a comedically large tablet. Using the pen to edit photos is new to me but a cool feature. It can handle most photo and video edits no problem. Why don’t all laptops come in matte black? This thing is probably the sexiest device I own. It is slim, light and portable and is my go to laptop when I don’t want to carry my bigger one. Perfect for cafe/casual use. My travel & working drive. 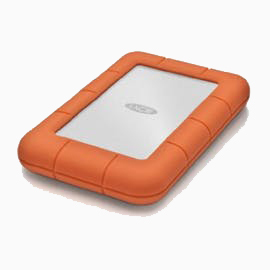 The durable, drop proof drive gives me peace of mind when I’m abroad. It’s bright orange colour is also super visible which means I’m less likely to lose it or leave it behind. If possible, I like to use a mouse - not a fan of laptop trackpads. 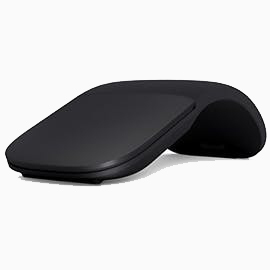 This mouse has a cool design as it folds flat and packs really well. When you bend it into it’s arc shape (see pic) it turns the mouse on. Super important piece of gear if you value your photos & videos. This 4 BAY NAS helps protect my precious data and creates redundancies to protect my data if any of my hard drives crash. It also allows me to access my files via the Internet. Read about my full storage workflow here. This is my current working drive that goes everywhere with me. It is smaller than it looks, rugged, water & drop resistant - but best of all, relatively cheap compared to other 2TB SSDs on the market. All my current working files go onto this drive and gets offloaded when I’m done. My first tablet pen. It has taken a little getting used to and practice but seems pretty responsive and life like. It also has a addictive click button at the top like a real pen and an inbuilt magnet on the side which lets you attach it to the side of your Surface Book. These Seagate drives are the best! The huge amounts of storage are more than enough to store my data without me worrying about space. The Ironwolf line are also compatible with NAS BAY solutions. To edit my photos and videos I use Adobe software, mostly: Lightroom, Photoshop for Photos & Premiere Pro & After Effects for video. Admittedly I’m still very new at film photography. I find it a fun process and am keen to learn more about film and it’s process. I picked this 35mm film camera up at an auction. It has a great tactile mechanical feeling when the shutter slaps. 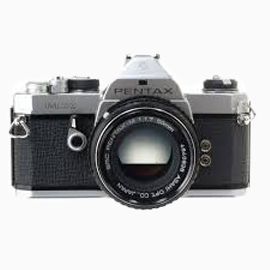 It is lens interchangeable which is cool and it is fully manual with a working light meter. It is one of the smaller DSLR film cameras I think. I recently picked this up as I wanted a tele lens for creamy portrait bokeh. 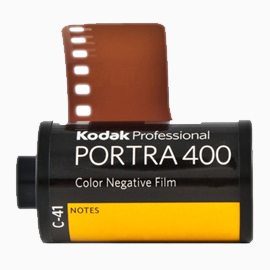 This film stock is a popular one - a lot of the VSCOfilm / VSCOcam filters are based off the Kodak Portra range of films. The colours are great and one of my faves so far.